Workers who have developed nephrotic syndrome are at risk of suffering other health complications if their kidneys expel large amounts of protein in the urine. Individuals can no longer continue their jobs after developing the following complications linked to the disorder. Treatment of nephrotic syndrome varies depending on the cause of the disorder and its complications. Physicians may prescribe medications to control the disorder or to treat its complications. In this difficult situation that you can no longer continue working due to nephrotic syndrome complications, working with a skilled attorney is crucial for you to possibly get your much needed long-term disability benefits to cover the costs of medical treatment. 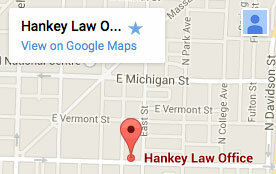 Find out how the Indiana attorneys at the Hankey Law Office may work for you today by calling 800-520-3633.